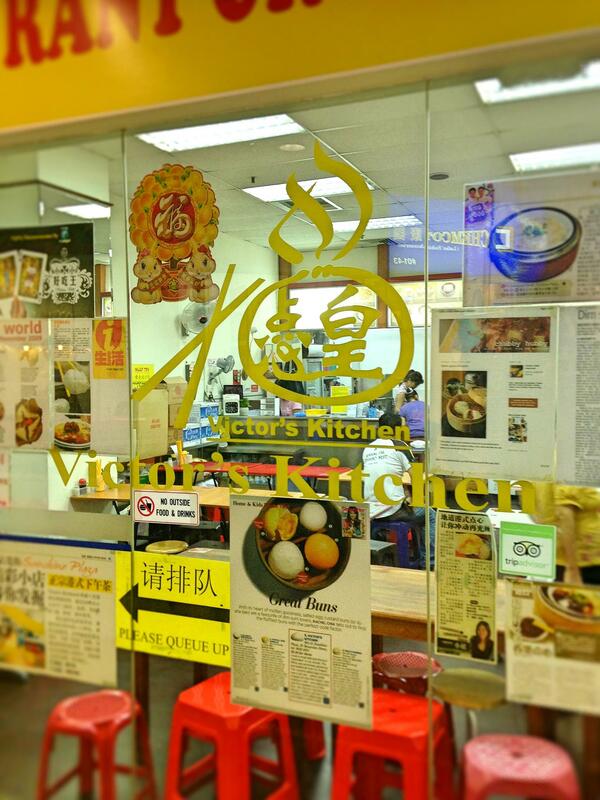 Found in Sunshine plaza, Victor’s Kitchen is definitely not an easy place to find even though it’s so close to town. I mean, they don’t even have a website or Facebook page! Their reputation is purely word-of-mouth and patronized by the people who pass by Sunshine plaza and see some crazy queue during lunch. I stopped by around 3pm, which is why the place looks so vacant. But trust me, it’s a completely different story during meal time. I got a good shot of how Victor’s Kitchen looks when it’s empty, which is a very bare minimum setup with whatever random tables and chairs they could find at the value store. A very unpretentious place to walk in for some afternoon dim sum just like in Hong Kong. Most coffeeshop places that are popular have that grouchy Aunty who has served one too many customers, but I’m glad to say Victor’s Kitchen’s aunties were pleasant and friendly even after a tiring afternoon session. Rosey Wine Yummy Char Siu Bao 叉烧包($4.50). 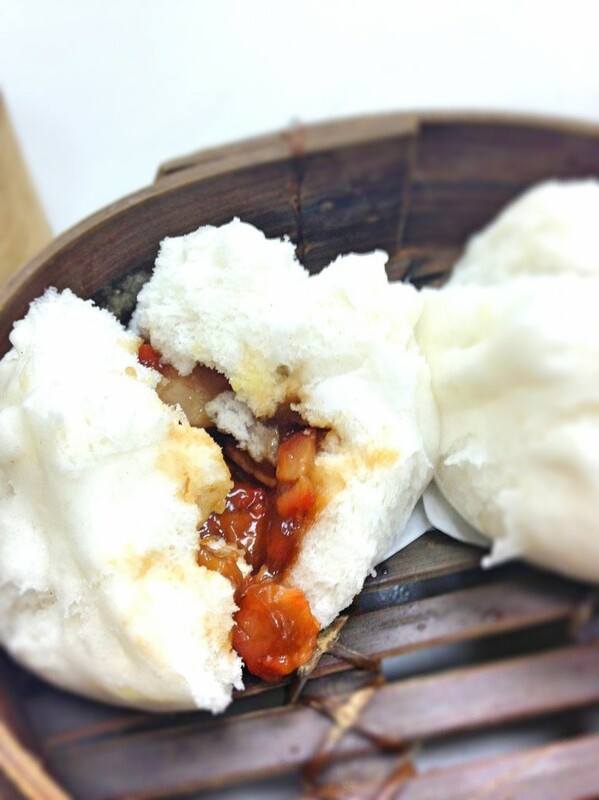 Their Char Siu Bao is the traditional type that breaks into pieces and fluffy all around without bao skin. I love this old-school type as it has more varying texture and you can taste a lot more char siew than bao. Didn’t really taste any wine though, but the char siu meat was pretty sweet. 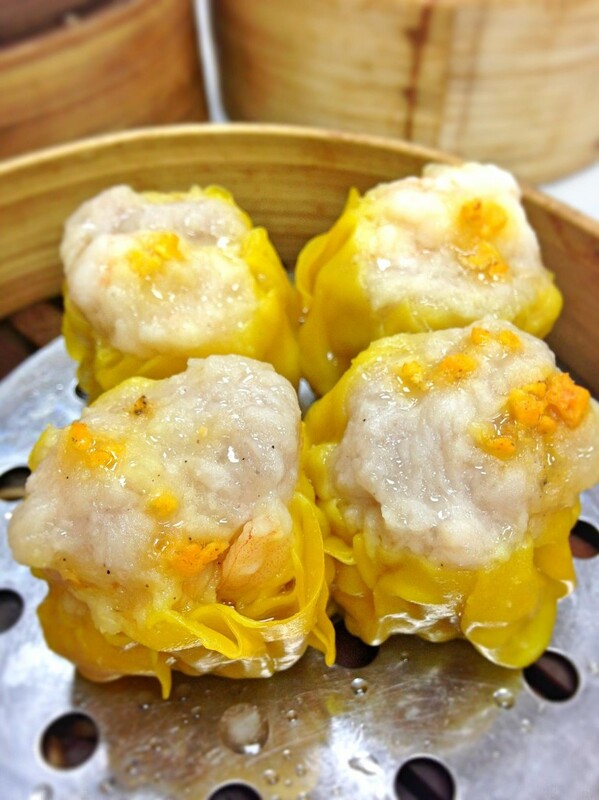 Queen Sized Siew Mai 烧卖 ($4.50). Not quite sure why they called it Queen sized as it pretty much looks the same size as a regular Siew Mai you can get at a restaurant. Ok fine, maybe bigger than a typical coffee shop one, but not by much. It was a tad salty for me, but very meaty and you can taste a chunk of prawn. The skin was also smooth and didn’t have any heavy flour taste. 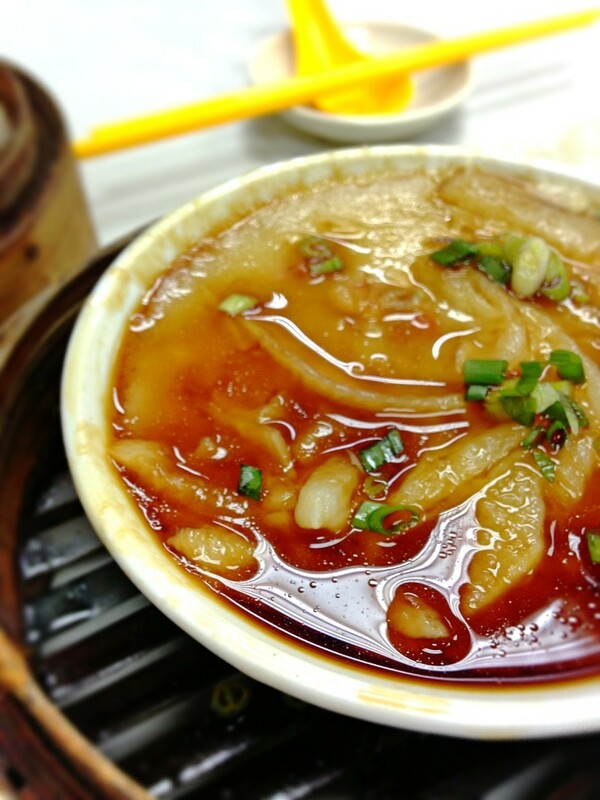 Victor’s King Prawn Dumpling 虾饺 ($5.00). Ok I have to say, the har gao was reaaaally big compared to the queen sized siew mai. This really deserved its name of KING. 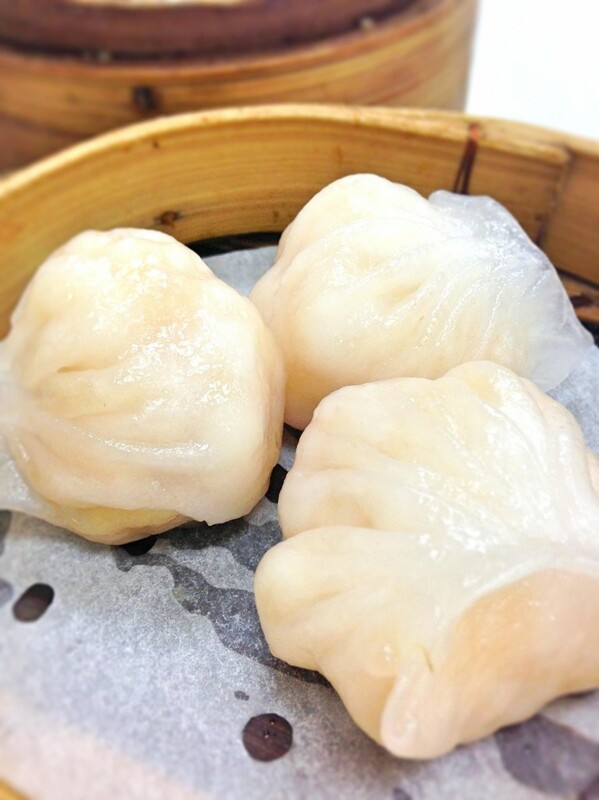 Stuffed with loads of prawn, smooth skin that you can easily bite into, this was excellent har gao prawn dumplings. Golden Egg Yolk Lava Bun 流沙包 ($4.50). 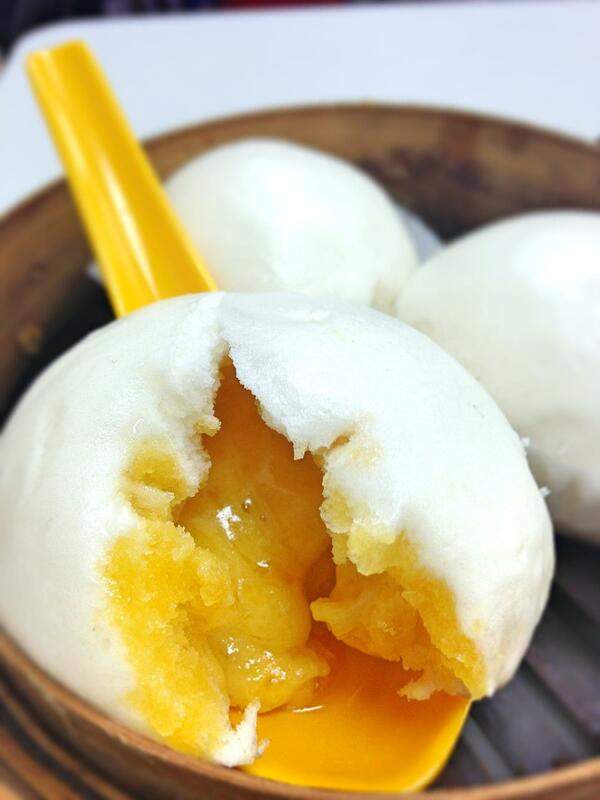 It has now become quite standard for me to do a thesis on the Liu Sha Bao at a dim sum place. 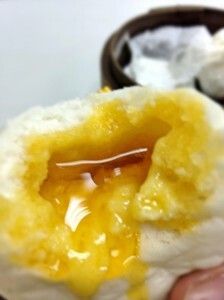 In terms of flavour and taste, the custard was really good and you can taste the fragrant salted egg yolk in the soft bun. The custard was also pretty flowy, but I had one problem- the butter oil was separated from the custard, and created a layer over it. This is probably due to either poor technique during whipping of the custard, or it has been left out too long and the emulsion broke apart. So beware if you bite in and get a burst of melted butter instead. Perhaps the Head Chef Victor was on holiday and some part-timer made the custard instead. XO Sauce Steamed Carrot Cake ($4.50). The funny thing about XO sauce is that it doesn’t contain XO. Carrot cake had distinct seafood flavours and you can taste the bits of octopus within. Sweet and quite smooth with this special carrot cake. Victor’s Kitchen still has an overall good standard, but they have raised prices considerably and now individual dim sum’s are actually in the restaurant price range, even though there is no service charge or GST. Still a good place to visit, but not as value for money as before. According to the health pyramid, each normal, healthy Singaporean should eat typically about 3-4 baskets of dim sum, which will already cost you more than $10 here. A HK milk tea costs $3.50 also, which given the setting, can be considered daylight robbery. 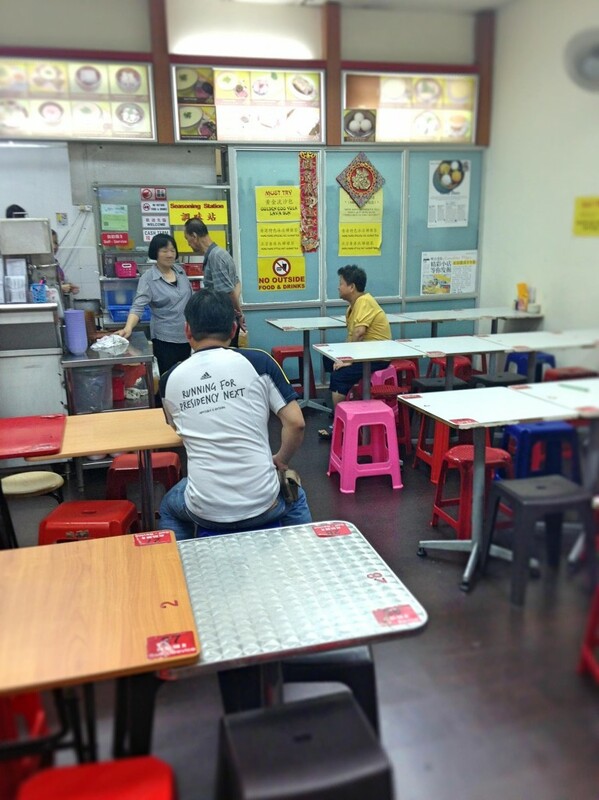 I think Swee Choon Tim Sum, even though have also raised prices, are still more value for money with a similar coffee shop setting.